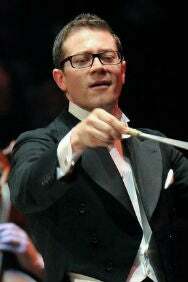 We do not curently have theatre tickets available for John Wilson And The John Wilson Orchestra. This could be because we have simply sold out or it could be that this show is no longer running. The information on this page remains purely for historical and informational purposes. John Wilson’s 70 piece superstar orchestra returns with their brand new show ‘At The Movies’. The Orchestra has established an international reputation performing repertoire from the golden era of Hollywood and Broadway musicals and music for the big screen. Joined by guest soloist Kim Criswell this will be a wonderful evening full of fabulous songs and music.